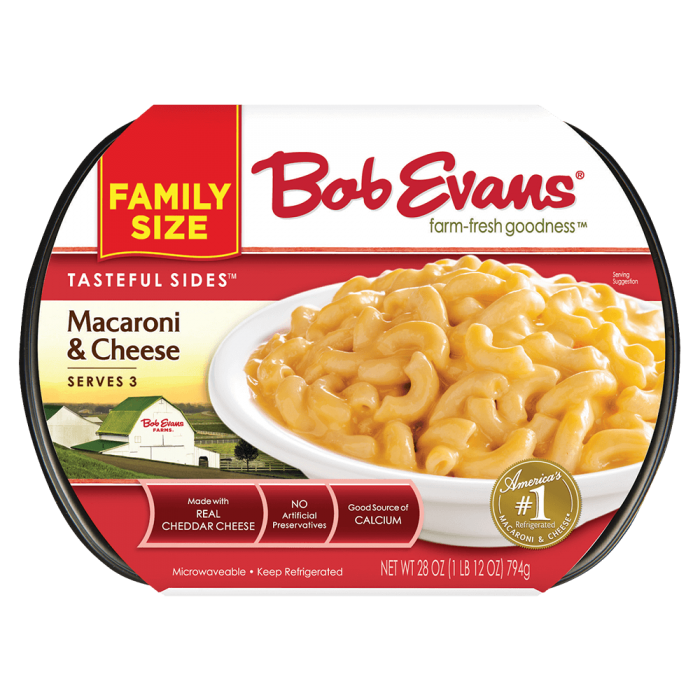 In large bowl, combine the Bob Evans Family Size Macaroni and Cheese, chicken, buffalo sauce, ranch dressing, and 3/4 cup cheddar cheese. Mix well. Pour the macaroni mixture in a round 9" casserole dish. Sprinkle the top with the additional 1/2 cup cheddar cheese. Top with blue cheese crumbles and green onion. 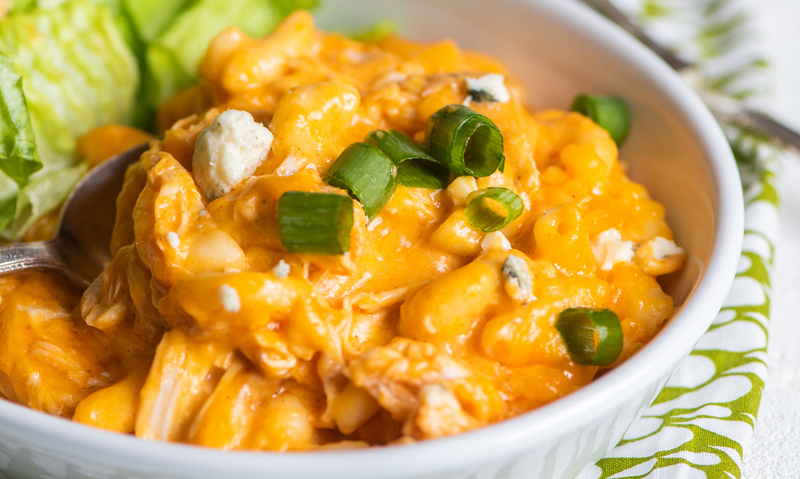 2 In large bowl, combine the Bob Evans Family Size Macaroni and Cheese, chicken, buffalo sauce, ranch dressing, and 3/4 cup cheddar cheese. Mix well. 3 Pour the macaroni mixture in a round 9" casserole dish. 4 Sprinkle the top with the additional 1/2 cup cheddar cheese. 5 Bake for 30 minutes or until heated through. 6 Top with blue cheese crumbles and green onion.